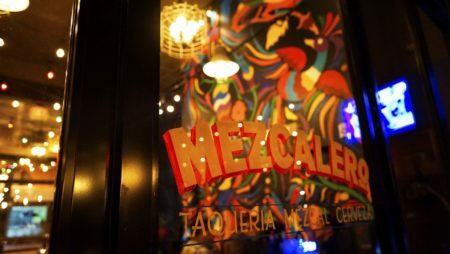 On June 27 Food Connection L.A. presented #TACOS #CHELAS & #MEZCAL a Spirited Dinner at Mezcalero DTLA. Dinner guest enjoyed the ultimate food and cocktail pairing with a 5-course menu that was carefully crafted by mixologist Nathan McCullough and chef Manuel Bañuelos, carefully matching the flavors of the food with it’s proper spirit. The exquisite menu included “Pepino Grande” a Cucumber Mezcal Margarita paired with Korean Marinated Carne Asada Taco, “Something really fun” a Watermelon Mezcal with Herbal Liqueur Cocktail paired with Fried Chicken Taco with Watermelon Salsa, “Oaxacan the Garden” A Very Vegetable Cocktail paired with Carnitas Taco with Mango Basil Pico de Gallo, “Burnt Offerings” Burnt Croissant with Juiced Cactus Mezcal Cocktail paired with Wild Mushroom Butter Thyme Taco and “There’s always money in the banana stand” Plantain Mezcal with Cacao Infused Rum Cocktail paired with Baja Fried Shrimp Taco with Coconut Crust. 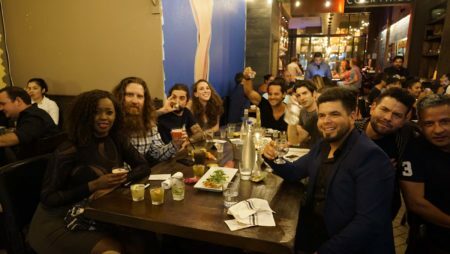 The bon vivant experience included live music by Colombian singer/songwriter TIAN and bass player Fido Hoyos whom serenaded guest while enjoying the delicious food and Cocktails by Mezcal El Silencio. 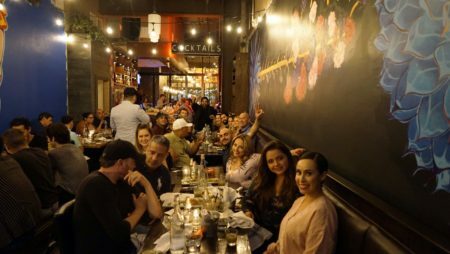 Food Connection L.A. mission is to offer Traditional Latin American Cuisine to food-loving souls together for a collaborative communal dining experience, an exploration of food and culture. Reservations are first come first serve and are handled exclusively online. Stay tuned on IG and Facebook for the next Pop-Up.